Dear Friday. Thank you for getting here. Love Melf. I baked my first pie in my lovely gas oven last night. Baking is an art and usually I create beautifully baked art. And last night’s pie…looked beautiful. And it tasted wonderful. 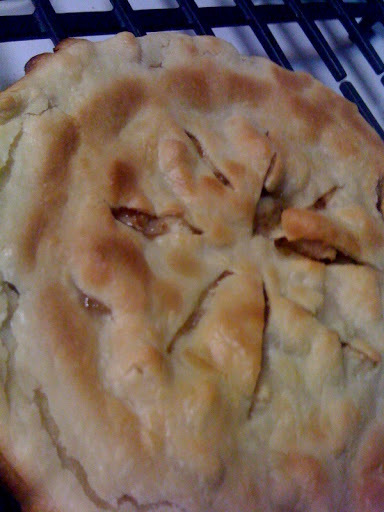 BUT the bottom crust didn’t cook all the way through and my apple filling was runnier than usual. It was an off night for the pie queen. But I look really cute in an apron, don’t you think? This entry was posted in Uncategorized and tagged cooking, grumpy, Mel-O-Jumble, the compound by Just Call Me Mel. Bookmark the permalink.